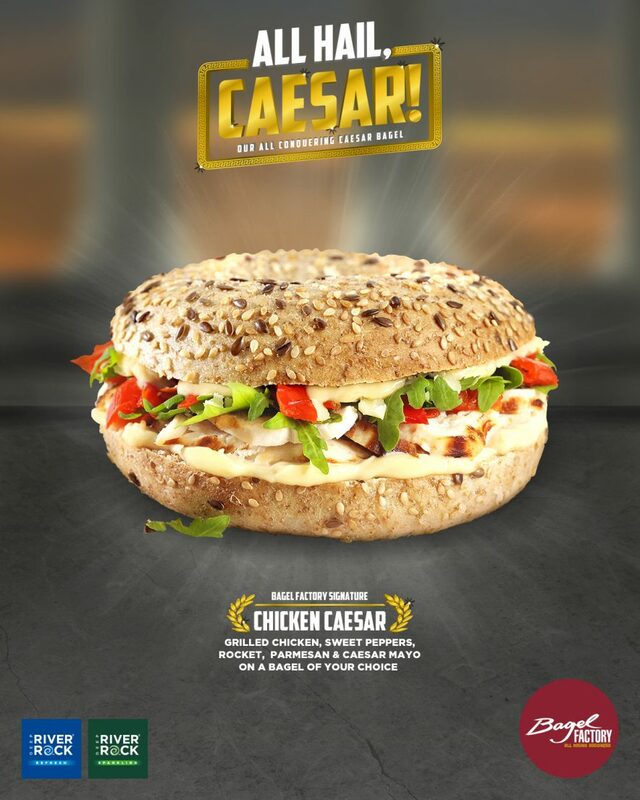 All Hail Caesar – Our all conquering Chicken Caesar bagel! Grilled Chicken, Sweet Peppers, Rocket Leaves, Parmesan Cheese and Caesar Mayonnaise served on a Bagel Factory bagel of your choice! Enjoy at your local Bagel Factory or in Bagel Factory @ O’Briens today with an ice-cold Deep RiverRock!